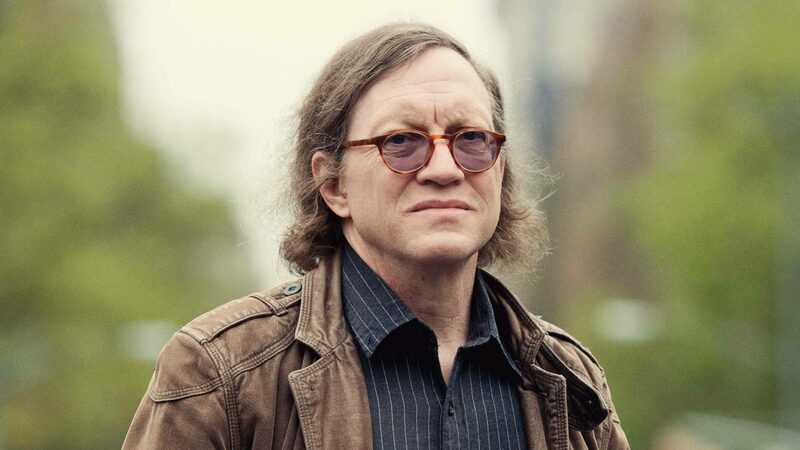 Tim Maudlin is a philosopher of science who is often cited as a critic of the popular view in science and philosophy known as "block time," which is just another way of describing eternalism: the view that all moments of time—the past, present, and future, are all equally real and ontological. But it's not so clear that Maudlin outright denies the block universe conception of time. In an interview he gave with Quantum Magazine last year, he seems to affirm block time, but mistakingly thinks it denies change. A popular misconception of the block universe is that time or change isn't real. But this is just a figure of speech. In the block universe time and change are definitely real. What isn't real, however, is the flow of time and change. There is no flowing of one moment to the next coming into and out of existence in a block universe since all moments exist, but there are definitely distinct ontological states of what exists at different times. This is what time and change are in a block universe: it's the fact that the same events do not exist uniformly throughout the spacetime block. But this often gets misconstrued as "time and change doesn't exist at all" by many scientists and even by many well-intentioned eternalists, and due to that, many people reject the block universe because it seems so self-evidently true that time and change exist. (For an explanation of the experience of the flow of time in a block universe, see here.) I will let Maudlin explain in his own words his issues with this complicated linguistic aspect of block time upon being accused of bucking the the trend. For all his experience on time, he too seems to get tripped up by this. There’s a sense in which I believe a certain understanding of the block universe. I believe that the past is equally real as the present, which is equally real as the future. Things that happened in the past were just as real. Pains in the past were pains, and in the future they’ll be real too, and there was one past and there will be one future. So if that’s all it means to believe in a block universe, fine. No issue continues to be as divisive as abortion. The polls on the ethics of abortion have not significantly budged in the past few decades, with no clear majorities for it or against it. As a negative utilitarian who is sympathetic to the ideas in anti-natalism (but who isn't an anti-natalist), I am naturally pro-choice as a result. I see it as excessively immoral to force a woman to give birth with total disregard to her circumstance, or the future baby's circumstance. But abortion still needs to be argued for, especially given its controversies. I think the pro-choice crowd has in general failed to make a strong case for the ethics of the pro-choice position, whereas the pro-life crowd has vehemently made many cases against abortion. The reason why is obvious: abortion is the law of the land, and therefore pro-lifers are more motivated to make the case against abortion than pro-choices are to make the case for it's morality and legality. 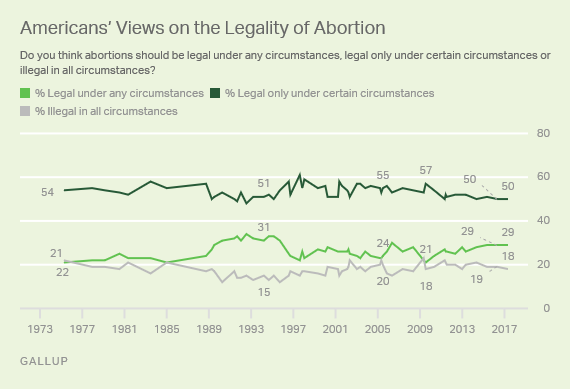 And this has the potential to turn the tide of opinion in favor of outlawing abortion, which could motivate politicians to implement stronger anti-abortion restrictions, despite the supreme court's 1973 decision. So in making the case for the ethics and legality of abortion I want to start where I think many pro-choicers fail. A common argument many in the pro-choice side make is that the fetus isn't human and isn't alive and that therefore aborting it isn't killing a living human being. I don't think it's necessary to claim this to defend abortion, and I also think it's wrong. A fetus has human DNA, making it genetically identifiable as human or homo sapien, and it is a living organism, requiring food that it metabolizes into energy to subsist. So I think this common argument forces the pro-choice position into defending two claims that are indefensible and ultimately unnecessary in defending abortion, and they should be dropped. It is simply unnecessary to claim a fetus isn't human or alive to justify abortion. I've been a bit too busy to blog regularly as of late because we just began production on our documentary on free will and it's been taking up much of my free time. I'll have more information on this as the project solidifies. But in the meantime, I have another guest post by author Karen Garst on her upcoming book Women v. Religion: The Case Against Faith – and for Freedom. I've had her as a guest post here before back in 2016 for her book Women Beyond Belief: Discovering Life without Religion. After finishing my first book, Women Beyond Belief: Discovering Life without Religion, I had a chance to attend several secular events including the Women in Secularism Conference. This was excellent and I had the opportunity to meet many interesting women. So instead of going back into retirement, I decided to write another book. The result is Women v. Religion: The Case Against Faith - and for Freedom. When you're losing a debate with someone on a social media platform, a common tactic is to report them as being in violation of the platform's policies. Recently this happened to me as I engaged in a debate on whether Islam is a sexist religion with a "Sunni Supremacist." And Twitter agreed with her despite my protest. This is sheer lunacy and anti-atheist bias on the part of Twitter. At worst, I called a person retarded. But that happens every second on Twitter and clearly this person is not actually retarded, although their fanaticism could suggest otherwise. The tweet is referring to a verse in the Quran in chapter 2 verse 228. It says that when it comes to divorce, "men have a degree (of advantage) over them [women]." This women actually used this verse to try and argue that Islam is not sexist when it comes to divorce and all I simply pointed out was that this is simply not the case. The verse demonstrates my point that Islam is sexist. So because she couldn't accept the fact that her own evidence against my view actually affirmed my view, like a typical person who loses a debate, she reported my tweet as being in violation of Twitter's policies, and Twitter stupidly agreed. She by the way called me a moron, and espoused anti-atheist, anti-Western, and anti-American bigotry in several of her tweets, calling atheism a "mental disorder" numerous times. I reported her in retaliation because that is my only option and it does not appear Twitter has done any temporary blocking since she's still tweeting. This opens up a question. If theists (or anyone for that matter) use insincere tactics like this to try and shut someone down on a social media platform, should atheists do the same? Should we be reporting all anti-atheist bias out there—which by the way is rampant online, especially among Muslims? I would like to say no. But if companies like Twitter and Facebook and others are going to have a double standard against atheists who criticize religion while they turn a blind eye to theists who regularly demonize atheists and atheism, then I think we should. So please find an anti-atheist, anti-gay, and sexist tweet by this "Sunni Supremacist" (which will be very easy) and report this person to Twitter to give them a taste of their own medicine. And please voice your concern to make social media aware of their biased double standard against atheists. The naturalistic fallacy can refer to a few things. It can refer to the idea that something is good if it is natural, or bad because it is unnatural. In the context of morality and politics, the fallacy pops up a number of ways and affects our ability to reason. Here are two examples. Conservatives will often argue that homosexuality is unnatural, and that it's therefore morally and politically wrong to allow it. Catholics who espouse natural law theory are very privy to this kind of reasoning. But it's simply false, on two levels. First, it makes the naturalistic fallacy. What is unnatural is not bad, because plenty of things are "unnatural" in the sense of being man-made, like technology, nose jobs, or medicines, and they can be positively good. Second, it is simply wrong that homosexuality is unnatural. Homosexuality is in fact, natural. But that also doesn't make it good either, since plenty of things are natural and aren't good, like cancer, HIV, poisonous mushrooms, and gamma ray bursts from the sun. The goodness or badness of a thing does not depend on its naturalness. 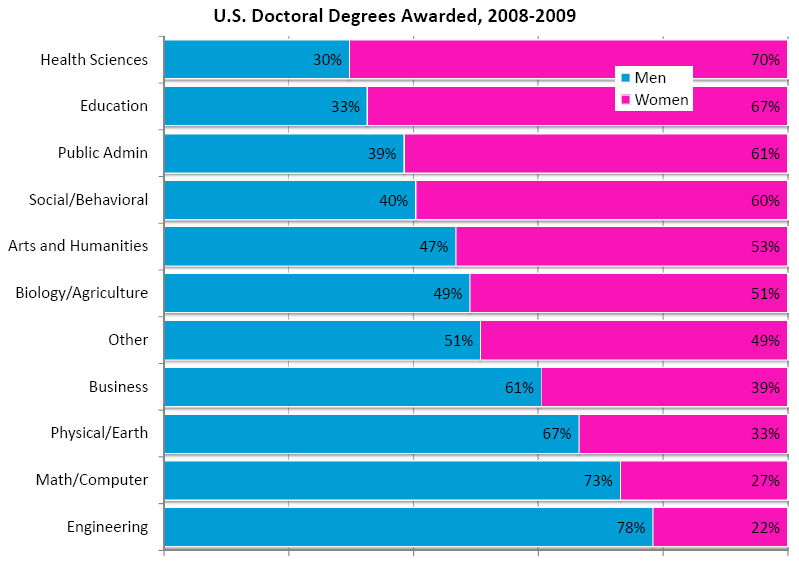 For liberals, it is very popular to say that there are no fundamental differences between men and women other than the obvious physical differences, and this leads many of them to argue that the low number of women to men in particular fields like science, technology, and engineering, are necessarily due to systemic sexism. But there are good arguments against this. Psychology and biology shows that men and women are not the same in our general preferences. Men tend to prefer working with things, and women tend to prefer working with people. That's why there are so many men in the physical sciences, engineering, and technology, and so many women in the social sciences, healthcare, and education.